Veneto's cheese, coming from the province of Vicenza (Bassano del Grappa). 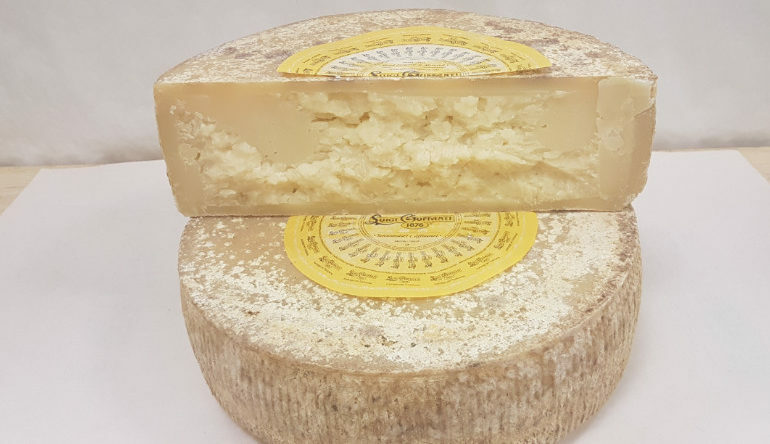 This cheese summarizes the characteristics of the great Veneto cheeses and of North-East Italy in general: compact wheels, a paste of a beautiful straw color and a marked softness even in the most advanced ageing process. Luigi Guffanti proposes the forms after aging for at least 60 days in their underground caves in Arona, when the Bassano Cheese expresses the concept of "coagulated milk" at its best.